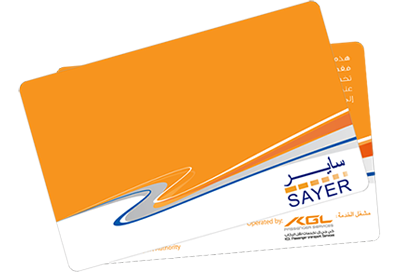 SAYER Card are available on-board Mowasalat buses by paying the driver. Passengers can purchase new SAYER Card from on-board Mowasalat buses with 2 denominations. 50*Dhs = will have a pre-charged amount of 45 Dhs. 95*Dhs = will have a pre-charged amount of 90 Dhs. Note : An initial Sayer Card purchase fee of 5 Dhs which covers the cost of the card.